This young girl, at the age of 17, with $300 in her pocket, left to the United States from India, to prove herself in the world of music. Her first debut 'MAGNET' charted to #19 on the Top 40 New Country Music Chart. From an orthodox community to living by herself amidst the unknown, living the life of her dreams, Varsha Vinn's journey undoubtedly sets the path to every girl, to dream big! 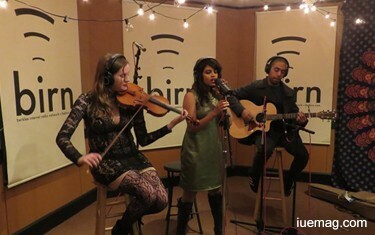 Pursuing music was never a question for Varsha. At the age of 3, when most girls would play with their pink teddies, she used to make beats by tapping her hands. With a fun filled childhood, although a lower middle class family, she loved hanging out with her parents who would take her out once in a month. It was no doubt that Varsha would follow the path of achieving in the field of music, with most of her family members involved in the field. What’s surprising is the fact that, unlike those in her Brahmin community who focused on practicing Carnatic music, Varsha’s genre of music is the western side. While everything began pretty smooth in her life, her family had to face a devastating incident that completely changed the direction of Varsha’s journey. She was 9 when she lost her father, leaving her mother, a housewife, with hundreds of questions in her mind on how Varsha could be given the best life. “That was a big turning point of my life. But when I look back now, I only wish to see the good things that have happened. The incident made me a stronger person” says Varsha. Her mother began to work as a receptionist to provide for the family. “My mother is my biggest inspiration for me to have reached this far” she says, “She had to sacrifice so much for me to live happily. She always wanted to give what’s best for me. That adds to my ambition.” Varsha continues to admire and learn from her mother, who grew from a receptionist, to now an assistant manager at Kotak Mahindra. Her father’s death led to many changes, big and small, in her life. It was hard for Varsha to stay in the new environment at the new school, where she had to face a lot of mean and arrogant students around. That’s a very crucial age when every girl needs friends with whom she can talk to. Varsha had to find a way to channelize her thoughts in the right way; the medium for her to pour her heart out was, ‘music.’ For a young girl to have such mature thoughts at the early age might seem unusual and of course, that’s a special gift she was bestowed upon. It probably wouldn’t surprise you that she won various music competitions eventually. Slowly she began to gain recognition for her work. There was never a look-back since then. Varsha is currently pursuing her dream at the Berklee College of Music, the largest independent college of contemporary music in the world. She has grown up to be a woman who can face any challenge and push herself to overcome the hurdle; a woman who can thrill her audience with the song she writes and sings; a woman who can inspire every individual to follow his/her passion. Varsha’s journey abroad began when she was chosen for an exchange program during her high school, and got the opportunity to travel to Colorado. As you might already be thinking, it was obvious that, not everyone around approved of it, but it was courageous of her mother to let Varsha go and find herself. Varsha lived with a new family, adjusting herself to the new environment, people, food, the new style of education and the way of living. Varsha got exposed to country music as she attended the shows of the host family’s head, who was a country musician himself. Her love for music and influences during her stay with the new family led Varsha to choose to move towards the western genres. It was not an easy task for her to convince her family back in India that Music was what she wanted to choose as a profession. To be able to study in her dream college wouldn’t have happened if it was not for her mother, who, along with Varsha went to almost 400 buildings in Bangalore, requesting to sponsor her for her study at the Berklee College of Music. There were no positive responses except for one person who has continued to sponsor Varsha’s education at Boston. The criticism and doubts of relatives, did not let Varsha stop herself from leaving India to run towards her dream. A strong decision at the early age of 17, has today made her an inspiration to the rest of the girls out there. 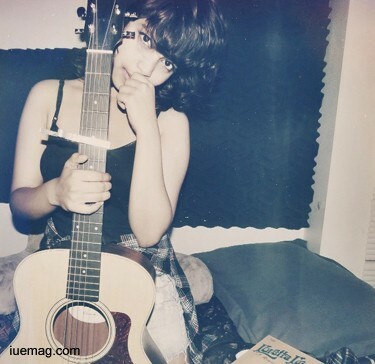 Varsha began to utilize all her weekends in writing and making songs. She was equally blessed with friends who would support her, emotionally and musically. To understand the people, the kind of music they would love, understanding how to create the right music, writing them, getting one’s team to understand her expectations, making the videos, staging up the finances, and finally releasing an album for a girl who flew all the way from India and still getting introduced to every new thing in her surrounding, wouldn’t have been an easy task at all. While setting up every one of these was on one side, Varsha had to get her music received by people. She had to learn the art of designing and had to master her marketing skill to be able to reach her target audience. 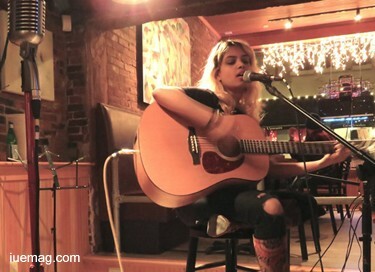 Her first debut “MAGNET” charted to #19 on the Top 40 New Country Music Chart on bestcountryradio.com. 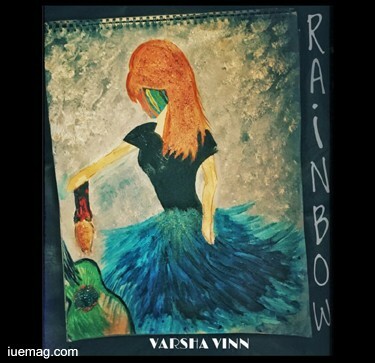 The 21 year old has written more than 500 songs and is all set to release her next single “RAINBOW” which is synonymous to her journey in the music industry. “People of all ages can relate to this song and it's kind of revolutionary moment in my song-writing career” she adjoins. Varsha has also been selected as a semi-finalist among 16,000 entries at the International Songwriting Competition, that she entered in 2016. To be able to prioritize what one needs in life and to stand up for oneself at all times is a very important lesson that we all need to remember, from Varsha’s journey. You need to take the chances which might even fail, but it’s better than regretting about those you didn’t take. There are millions doing what you do, but it’s just the few extra steps you take, that can make you a better person. Varsha’s musical journey and her personal one is sure to get bigger and better. The day is not too far, when her music shall be recognized around the world and you will remember, not only her songs, but the journey she took to achieve. 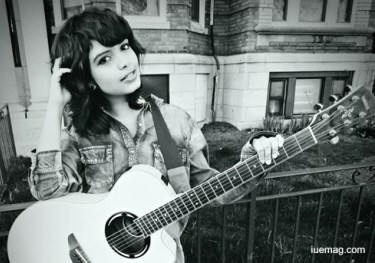 Don’t forget to watch Varsha’s music at https://www.youtube.com/user/varshavinn. Drop your comments and wishes to reach her. Any facts, figures or references stated here are made by the author & don't reflect the endorsement of iU at all times unless otherwise drafted by official staff at iU. This article was first published here on 2nd March 2017.